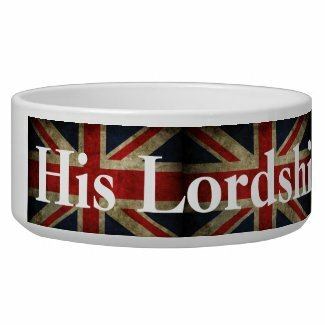 Great pet bowl for the pet loving Anglophile in your life! Features the Union Jack British flag in a vintage look with customizable Name. Easily change to Her Ladyship, The King of the House, or any other greeting you may choose!